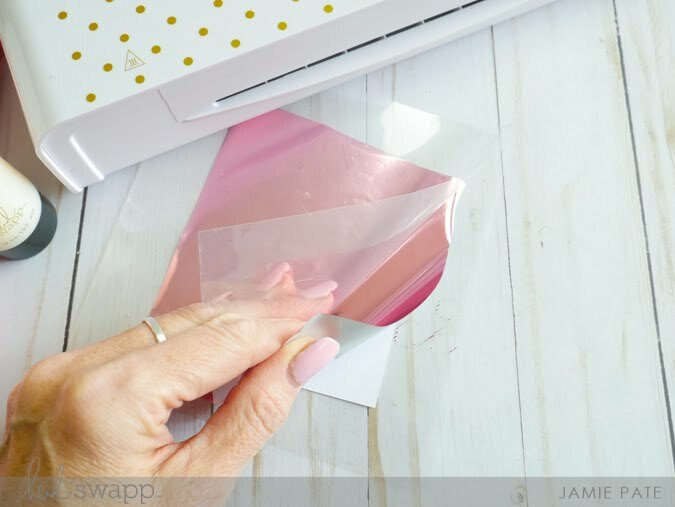 It sort of surprises me how many people I come across in the paper crafts industry that have never heard of the Minc Machine. Thing is. I LOVE when that happens. Cause I know I have a sure way of 'wow-ing' them. Every time I pull back the foil from the project after it's run through the Minc Machine the wow factor always ALWAYS impresses. Love it when that happens. Today's post is a super quick and simple post. Let's talk Minc Mediums. 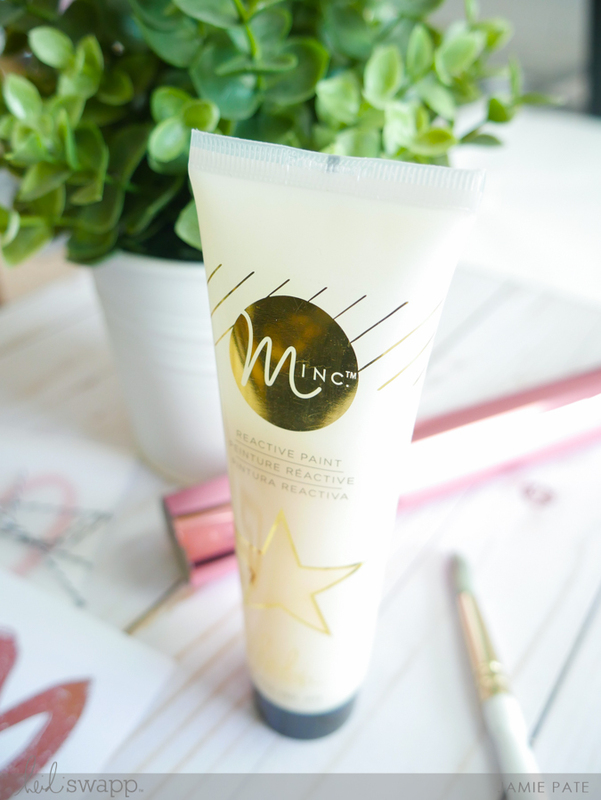 Specifically the Minc Reactive Paint. The Minc Collection includes several mixed media mediums. Let's just focus on the Reactive Paint. And a super simple, yet impressive way to make pretty stuff with the Minc Machine. It's a little hard to see here. But trust me. Using the Reactive Paint. And the number 12 brush from the Minc Paint Brushes, I hand painted a heart on this 3x4 piece of cardstock. The paint is clear but you can see it's reflection on the card shown above. 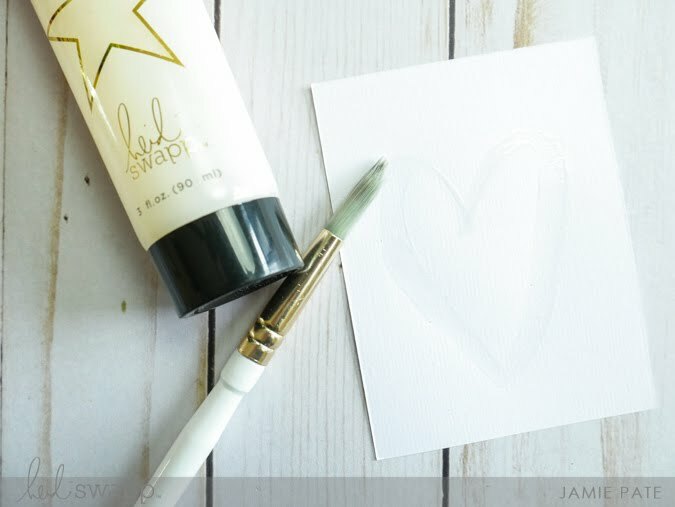 Simply swiping the paint on the card I was able to make a nice size heart. TIP: Make sure the paint dries completely before running through the machine. This is very important for a nice image. Next the card was placed in a Minc Transfer Folder to protect it from the machine. A piece of Pink Reactive Foil was placed over the top. All is enclosed in the Transfer Folder. After the piece ran through the machine, it left the painted heart foiled in pink. Isn't that fantastic!?!?! The following video is a minute long look at this whole process. 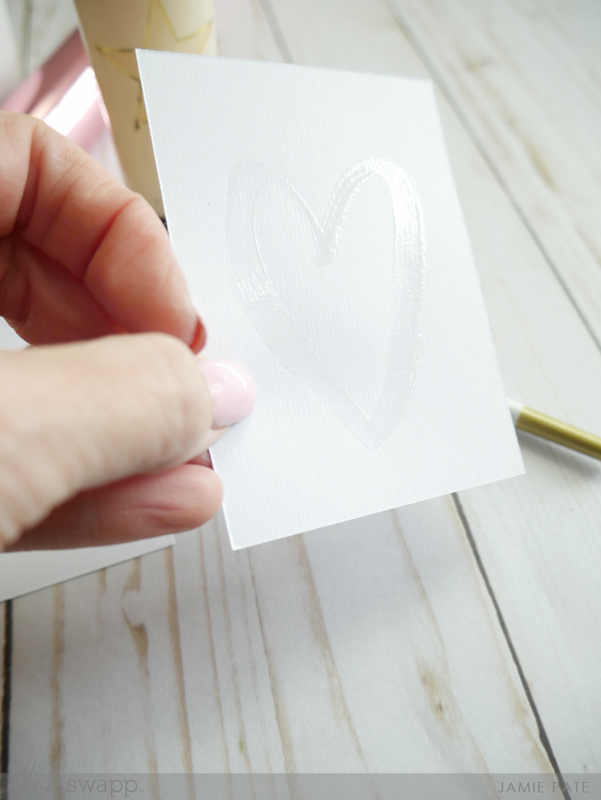 Watch to see just how easy it is to create a simple yet stunning heart card. The possibilities are endless. But I challenge you to start simple, like with a 3x4 card and an easy icon like a heart. Then let your mind go crazy with ideas. 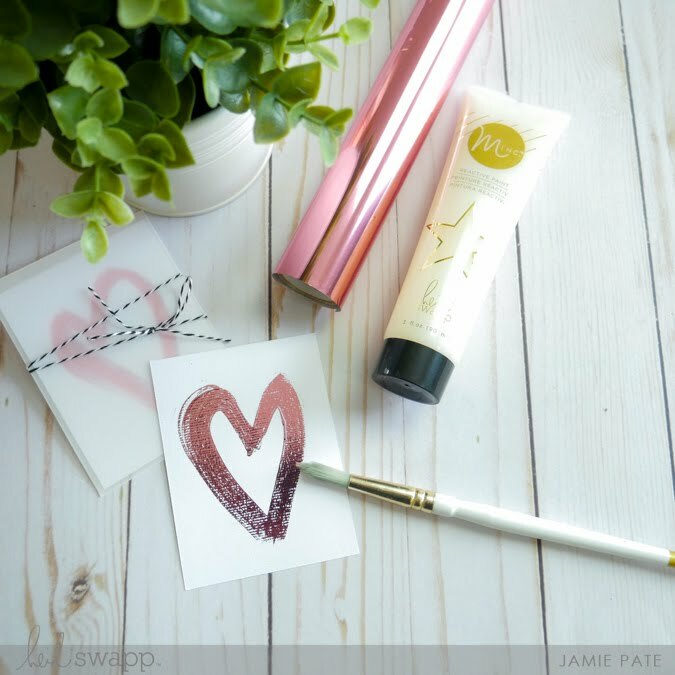 Just one way to use the Minc Machine and the Reactive Paint and foils. See how easy it was to paint the card. Make sure it dries completely. Insert card in Transfer Folder with Foil of choice. And let the WOW factor begin. And enjoy making pretty stuff.